I love stories that link two separate narratives together from different time periods. The Weight of A Piano is at the top of my list for this month. A tour-de-force about two women and the piano that inexorably ties their lives together through time and across continents, for better and for worse. In 2012, in Bakersfield, California, twenty-six-year-old Clara Lundy loses another boyfriend and again has to find a new apartment, which is complicated by the gift her father had given her for her twelfth birthday, shortly before he and her mother died in a fire that burned their house down: a Blüthner upright she has never learned to play. Orphaned, she was raised by her aunt and uncle, who in his car-repair shop trained her to become a first-rate mechanic, much to the surprise of her subsequent customers. But this work, her true mainstay in a scattered life, is put on hold when her hand gets broken while the piano’s being moved–and in sudden frustration she chooses to sell it. And what becomes crucial is who the most interested party turns out to be. . . The Source of Self-Regard is brimming with all the elegance of mind and style, the literary prowess and moral compass that are Toni Morrison’s inimitable hallmark. It is divided into three parts: the first is introduced by a powerful prayer for the dead of 9/11; the second by a searching meditation on Martin Luther King Jr., and the last by a heart-wrenching eulogy for James Baldwin. In the writings and speeches included here, Morrison takes on contested social issues: the foreigner, female empowerment, the press, money, “black matter(s),” and human rights. She looks at enduring matters of culture: the role of the artist in society, the literary imagination, the Afro-American presence in American literature, and in her Nobel lecture, the power of language itself. And here too is piercing commentary on her own work (including The Bluest Eye, Sula, Tar Baby, Jazz, Beloved, and Paradise) and that of others, among them, painter and collagist Romare Bearden, author Toni Cade Bambara, and theater director Peter Sellars. In all, The Source of Self-Regard is a luminous and essential addition to Toni Morrison’s oeuvre. This novel just so happens to be the Dear Reader Book Club pick for March. If it’s on your TBR list, you should consider joining us to read and discuss this action-packed, African Game of Thrones. I received The Dreamers back in December but still haven’t gotten around to reading it. It was Belletrist’s book of the month for January so it has to be good. Maybe this month I’ll finally have the time? Do you think any of these reads would make it on your TBR list? Anything I should add? Be sure to let me know in the comments! In today’s world, it’s important to form authentic relationships in order to truly engage your readers. It’s about more than just posting a photo and a hashtag, it’s about telling your story. 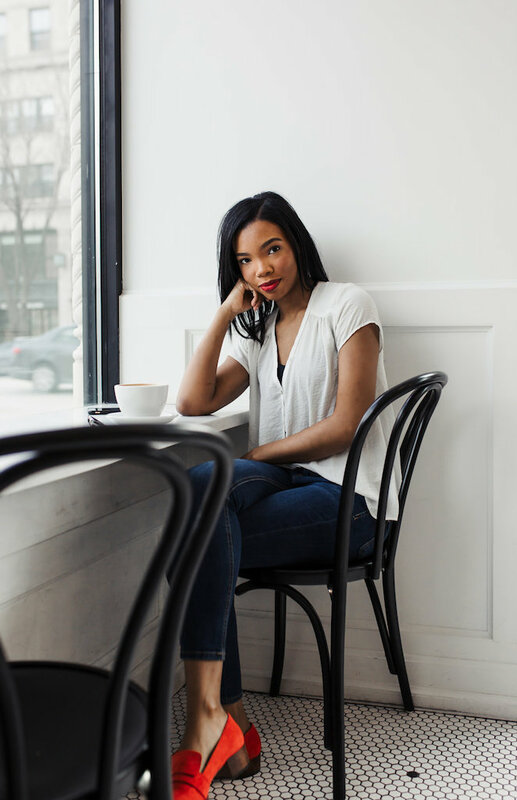 Patience Randle created her brand Ink & Fable for the sole purpose of storytelling and connecting with fellow bookworms and creatives. Hope you find something you love.